Acupuncture falls under the banner of Traditional Chinese Medicine (TCM), which is a system of primary health care that includes Acupuncture, Chinese Herbal Medicine, Remedial Massage (Anmo Tuina), Exercise and Breathing Therapy (such as Qigong), and Diet and Lifestyle Advice. In the West we tend to think of “medicine” as a way of dealing with illness and disease. Traditional Chinese Medicine (TCM) on the other hand focuses on achieving health and well-being through the cultivation of harmony within our lives. Traditional Chinese Medicine has an uninterrupted history of development in China and other parts of East Asia dating back thousands of years. The primary feature of modern TCM is the premise that good health relies on the restoration and maintenance of harmony, balance and order to the individual. In a healthy individual, an abundant supply of qi flows through the body’s meridians (a network of invisible channels through the body). Should the flow of qi in the meridians become blocked or there is an inadequate supply of qi as a result of disease pathogens, overwork, poor diet, stress, weather & environmental conditions, and other lifestyle factors, the body fails to maintain harmony, balance and order, and disease or illness follows. 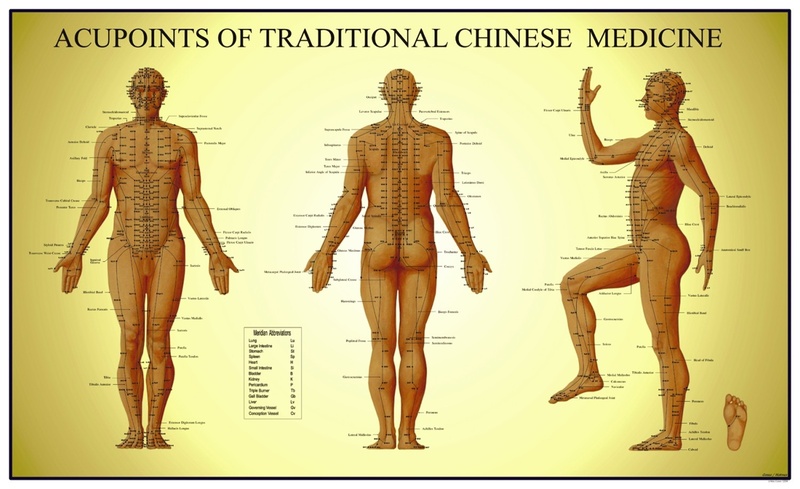 Traditional Chinese Medicine practitioners can identify this through identifiable signs of body dysfunction; they carefully look for these signs of health and dysfunction, paying particular attention to not only the presenting condition, but also the medical history, general constitution, and the pulse and tongue. TCM takes a holistic approach to understanding normal function and disease processes and focuses as much on the prevention of illness as it does on the treatment. Oriental medicine is a term that encompasses diverse medical theories and applications developed and practiced in the Far East, including China, Korea, Japan, Taiwan, and Vietnam. Today TCM is practiced throughout the world as more and more people explore new ways of complementing their existing healthcare, and is an excellent starting point to learn more about complementary medical systems from Asia. Acupuncture involves the insertion of extremely thin needles into the body at strategic points. The needles are left in place for a short time and then removed. Acupuncture can help with some physical problems such as pain and nausea. It can also help to reduce symptoms such as anxiety. Acupuncture first started in traditional East Asian medicine systems. It became an important part of Chinese medicine about 2000 years ago. energy or life force — known as qi or chi (CHEE) — believed to flow through pathways (meridians) in your body. By inserting needles into specific points along these meridians, acupuncture practitioners believe that your energy flow will re-balance. Western medical acupuncture is a modern interpretation of acupuncture based on scientific research. Treatments are given following a medical diagnosis and can be used alongside conventional cancer treatments such as cancer drugs or radiotherapy. Acupuncture is used to treat a wide range of pain conditions and some other symptoms. Many doctors are trained in Western medical acupuncture. Other qualified health professionals are also often trained to use acupuncture alongside anticancer treatments. According to Western Medical research, acupuncture works by stimulating nerves to release substances that can reduce symptoms and possibly also change some of the body’s functions, such as muscle tension, and triggers the body’s own natural morphine-like substances (endorphins) in the spinal cord and brain to relieve pain. Acupuncture also releases Serotonin, which is a pain reliever and can promote a feeling of well-being. Ancient theories believe that acupuncture can alter the flow of Qi (a vital force or energy) that flows through the body along channels called meridians, and this restores or optimises good health. One of the main reasons people with cancer use acupuncture is to help relieve nausea caused by chemotherapy or other cancer drugs. While conventional acupuncture can be applied, there is a non-invasive method called accupressure which works by applying pressure to the Chinese meridian point P6 on the wrist. An effective method of self-applying this accupressure is the use of Seabands (acubands), which are bracelets that apply pressure to the acupuncture point on the wrist and can help to reduce nausea due to chemotherapy or following surgery. Acubands have been used very effectively for nausea with 83% of patients who tried the wristband saying they experienced a 50% or more reduction in their nausea levels. A University of Pittsburgh Medical Center study using Sea-Bands acupressure on post-op patients reduced the incidence of nausea to 10% – a two-thirds reduction. Users say that acupuncture helps them relax, improves their overall feeling of well-being and helps relieve symptoms. On your first visit the acupuncture practitioner will gather various types of information, including health, lifestyle, medical history, sleep patterns, diet, and emotional status. The practitioner will also ask you about any symptoms or side effects of your cancer treatment, and about any medication that you are taking.It is very important that you answer fully and truthfully as the practitioner may have to change an acupuncture treatment due to other treatments or other medical conditions. During the treatment the acupuncturist will insert fine, stainless steel, disposable needles through your skin, usually starting off with just a few needles – this could change later depending on your response and the number of symptoms that you have. The needles are generally left in for between 10 to 30 minutes. This should not be painful but may cause a tingling sensation. Sometimes the practitioner may gently flick or turn the needles to stimulate them or may attach a very weak electrical current to the needles once they are in; using electrical current is called electro acupuncture. A special type of very small needle may sometimes be left in the skin to give ongoing symptom relief, and sometimes individuals are taught a specific type of acupuncture technique they can use themselves at home. There is also a particular type of acupuncture called ear acupuncture, or auricular acupuncture. The practitioner puts needles or small beads (called acupressure beads) onto the outer part of the ear. They may leave them in place for a few days. There are probably few things that children hate more than getting shots at the doctor’s office, so many individuals are sceptical about paediatric acupuncture, but children with cancer are used to far more and worse things than getting poked with tiny needles. Many top paediatric oncology hospitals offer an acupuncture program as part of the treatment regimen, including Seattle Children’s Hospital, Boston Children’s Hospital, the Dana-Farber Cancer Institute, Markey Cancer Centre, Massachusetts General Hospital, Cleveland Clinic Children’s Hospital, St. Jude Children’s Research Hospital, Johns Hopkins Children’s Center, the Mayo Clinic and many more. There are also several styles of Japanese acupuncture that use non-inserted needling, which means it is an entirely non-invasive procedure. In non-inserted needling the needle is brought to the skin, but never penetrates it, and various other acupuncture tools are used to tap or stroke along the meridians. Notable examples of these styles are Tōyōhari and the pediatric acupuncture style called Shōnishin. Shōnishin is a specialised form of acupuncture for infants and children that became renowned in the 1700s in the Osaka region of Japan, and which is still popular with parents to this day. Shonishin techniques involve rhythmic stroking, rubbing, tapping, and pressing the skin to give different kinds of gentle stimulation. Practitioners contend that these techniques harmonise and fortify the child’s vital energy, and strengthen the child’s constitution. The specifics of the treatment (frequency, dosage, strength) depend on the practitioner and the age, and condition of the child, among other factors. Shonishin practitioners believe that “less is better” when administering acupuncture to children, so the treatments are usually very brief: a typical treatment generally lasts only one to five minutes…. The main areas of research into acupuncture for cancer are chemotherapy related nausea, fatigue and pain. Recent research reviews have shown positive results for acupuncture in controlling pain, as well as for nausea and vomiting due to chemotherapy (CINV). significantly reduced nausea retching, and distress after chemotherapy. Other studies have shown positive results in reducing peripheral neuropathy (numbness, tingling and sensation changes) in the hands and feet after chemotherapy treatment. Various other studies have found acupuncture can help for many other side-effects of cancer therapy such as fatigue, anxiety and mood changes, dry mouth, cancer related breathlessness, lymphoedema, sleep problems, and hot flushes and sweats common in breast, prostate or womb cancer treatment. “In summary, acupuncture therapy use among the pediatric oncology population at our institution is well tolerated, sought both by clinical providers as well as the patients and their families, and safe when performed by providers with specific training and expertise in the pediatric and oncology population. In our patients, acupuncture therapy also proved to be a valuable adjuvant modality, not only for the pain and nausea/vomiting complaints, but also for supportive care through conventional treatments by addressing several other problems such as neuropathies/neurological dysfunction, fatigue, mood issues and sleep disturbance. The most common effect is minor bleeding and bruising, which occurs in less than 3% of those treated. Some individuals experience a temporary short-term increase in pain symptoms but this is closely followed by a marked decrease in pain. About 1% of those treated experience faintness or feel dizzy, but this does not usually occur if the patient is lying down during treatment. Always check with your doctor before you start using Acupuncture. Always make sure your acupuncture practitioner knows your full medical and medication history at every visit, especially if anything has changed. Please note that the Little Fighters Cancer Trust shares information regarding various types of cancer treatments on this blog merely for informational use. LFCT does not endorse or promote any specific cancer treatments – we believe that the public should be informed but that the option is theirs to take as to what treatments are to be used. Always consult your medical practitioner prior to taking any other medication or undergoing any therapy, natural or otherwise.